Our dedicated After School Club team arrive at the designated school via taxi transport, collect the children and bring them to our Out of School Club facility where refreshments and a light tea will be provided. There is a wide range of creative and physical activities to keep them all happy and busy. The service runs until 6pm term time only. We take in children from 7.30am allowing parents that start early that extra bit of time on a morning. 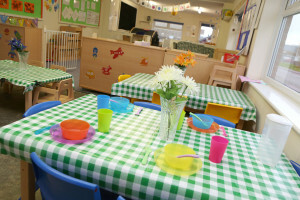 We provide a nutritious breakfast for your child along with access to the usual facilities the nursery has to offer. In the holiday club we have a wide variety of activities going on throughout the day. We also go on outings that can help children learn about the wider world and about the immediate surroundings in which they live in. Funky Feet is a unique session for Preschool aged children that gives them the great opportunity to sample numerous sports and physical activities. It is a mix of fun games and dancing that is designed to be a fun and active way of engaging children into physical activity. 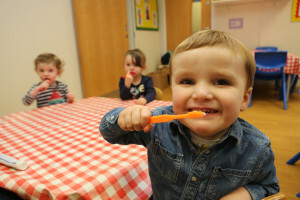 We believe that nutritious food and drink are essential for children’s well-being and the importance to encourage healthy eating habits from an early age. We encourage children to gain an understanding of how food and water is essential to growth. Sign language supports language development through repetitions of words or concepts. When a child says and signs a word at the same time, the word is anchoring in his/her brain easier through auditory and kin aesthetic means. 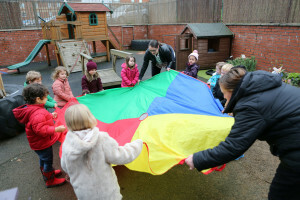 We are an established nursery childcare provider currently looking after over 400 children with 9 nurseries covering Middlesbrough Stockton and Billingham. 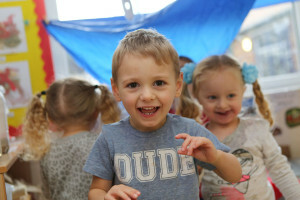 Our mission is to give the children in our care the very best possible start in life, we are proud to say we have done this for thousands of children already! 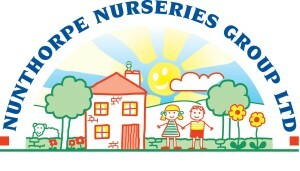 Thanks to the Gazette for several nursery pictures!